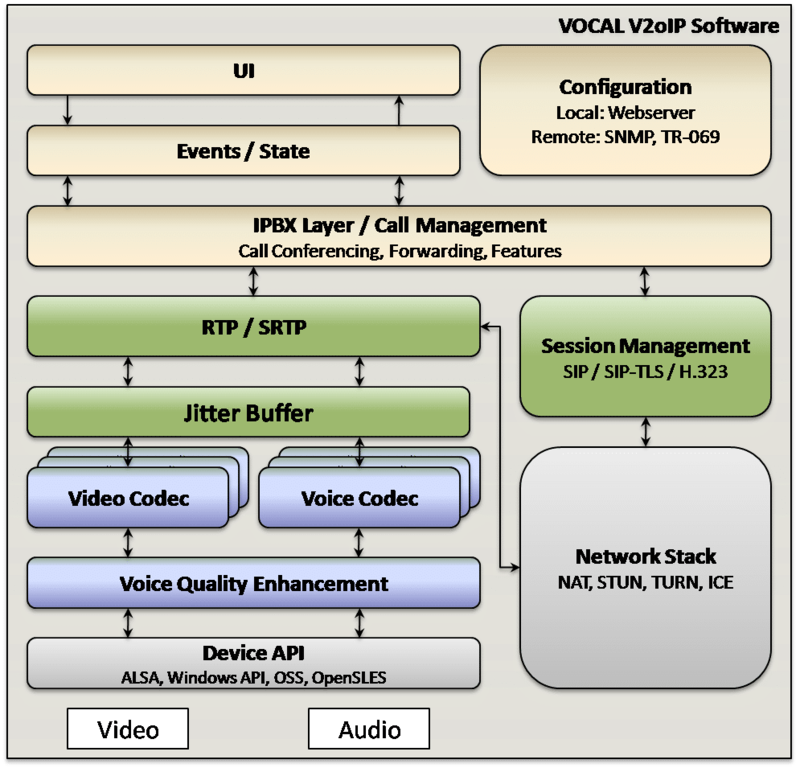 VOCAL offers a comprehensive suite of software libraries to provide a complete V2oIP (Voice and Video) solution across a wide variety of platforms. Our V2oIP suite is fully integrated and highly configurable, including a network stack and SIP transport layer, full featured telephony software, as well as a wide range of VoIP vocoders and video codecs. Together with our encryption libraries which feature SRTP, VOCAL can ensure privacy and security of all voice and video communications. Information regarding all aspects of VOCAL’s V2oIP solution is available. Contact us to discuss your voice and video application requirements.